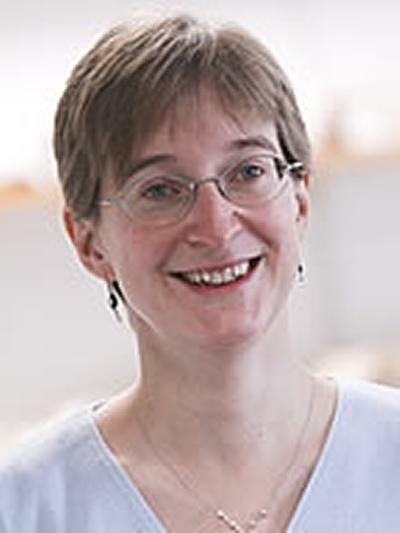 Dr Sonia Zakrzewski is an Associate Professor of Archaeology at the University of Southampton. I am a bioarchaeologist, focusing on human skeletons. My interests are in biological anthropology, race, human diversity and variability, and the study of the human body to understand aspects of migration and mobility, diet, identity, disease, religious practice and social organisation in past populations. I joined the department from Durham, where I was briefly an Addison Wheeler Research Fellow. My work there focused upon human dispersals through Egypt and across the Sahara Desert. More recently, I have been interested in the interplay between funerary archaeology, the mortuary record and aspects of bodily identity. This research has concentrated on Predynastic and Early Dynastic Egypt groups and, more recently, on medieval burial grounds (both Christian and Muslim). With my graduate students, I have become interested in the bioarchaeology of religion and the activities associated with religious practice. This has implications for palaeopathology and studies of disease, and, within the skeletal collections here at Southampton, we have one of the earliest documented cases of leprosy in the UK. I also undertake research in collaboration with staff in Bioengineering. We use computed tomography (CT) to get high resolution images of human bones and teeth, and then use these to understand other aspects of past lives, such as locomotor practices and dental treatment. Together with one of my graduate students, we have looked at an unusual Roman dwarf skeleton to evaluate her dis/Ability. This type of work has been used to improve the development of dental implants and other prosthetics. I am currently the Director of Undergraduate Admissions for Archaeology and all our combined honours courses. I was previously the academic lead and director for Lifelong and Leisure Learning across the University of Southampton. As a result, I am extremely keen to develop outreach and the use of archaeology for widening participation and other educational purposes. I am a Fellow of the Society of Antiquaries. In the past, I have served as the Vice-President of the Paleopathology Association (PPA), and on the organising board of the Society for the Study of Human Biology (SSHB) and the British Association for Biological Anthropology & Osteoarchaeology (BABAO). My research interests lie primarily in the analysis of human diversity and variability. By this, I mean understanding what it is that makes modern humans so similar and yet so different. My interests are therefore linked together by the human body and the funerary and mortuary archaeological record. My interest in human diversity developed from interests in human mobility and dispersal: are migrants different from sedentes? How can we identify migrating individuals within the archaeological record? Are there aspects of the body that we can read? As a result, I have been developing studies of human identity. How is identity expressed upon the human body? How plastic and malleable is the body? My research then links these aspects together with the funerary record to develop models of human ethnicity and identity. I am also interested in past human recognition of aspects of identity. Using palaeopathology and bioarchaeology, is it possible to develop models of disability and ability, and can we understand how past people viewed health and disease? My research usually involves study of the gross morphology of the human body to then place individuals within a broader population context. This has primarily been working in Egypt. For the last few years, I have been working with colleagues from Berlin to excavate and analyse a Greco-Roman cemetery in the Egyptian delta. We are trying to situate the site within the broader Delta context and within the wider Greco-Roman world. In addition, I am working with American colleagues to study the diversity and variability of the population found buried in the cemeteries from New Kingdom Amarna. The site was occupied only briefly, during the reign of Akhenaten, and so provides a palimpsest of Egyptian ethnicity, health, disease, diet, occupation and activity. The Islamic necropolis at Écija, comprising more than 4,500 inhumations, is the largest excavated medieval cemetery in Iberia. The Islamic necropolis in Écija, in southern Andalucía, has been fully excavated by the Junta de Andalucía (Consejería de Cultura) with support of the local Imam. Recent developments within bioarchaeology have enabled the role of the individual within archaeology to be better identified. In Egyptian contexts, these have included assessment of diet through stable isotopes (Thompson et al 2005) and DNA studies of modern (Krings et al 1999) and ancient human populations (Graver et al 2001). Initially of interest to physicians from the time of the Enlightenment onwards, the history of medicine has gradually gained the attention of historians, sociologists, philosophers, anthropologists, and other social science students. Carton, J., Pollard, J., & Zakrzewski, S. (2016). An early Neolithic mortuary deposit from the Woodford G2 long barrow. Wiltshire Archaeological and Natural History Magazine, 109, 79-90. Rowland, J., Inskip, S., & Zakrzewski, S. R. (2010). The Ptolemaic-Roman cemetery at the Quesna archaeological area. The Journal of Egyptian Archaeology, 96, 31-48. Rowland, J., & Zakrzewski, S. R. (2008). Quesna: the Ptolemaic and Roman cemetery. Egyptian Archaeology, 32, 15-17. Zakrzewski, S. (2002). Exploring Migration and Population Boundaries in Ancient Egypt: A Craniometric Case Study. Tempus, 7, 195-204. Zakrzewski, S. R., Rowland, J., & Shortland, A. (2016). Science in the study of ancient Egypt. (Routledge Series in Egyptology; No. 3). USA: Routledge. Zakrzewski, S. R., & White, W. (Eds.) (2007). Proceedings of the Seventh Annual Conference of the British Association for Biological Anthropology and Osteoarchaeology. (British Archaeological Reports International Series; Vol. 1712). Oxford, UK: Archaeopress. Zakrzewski, S. R., & Clegg, M. (Eds.) (2005). Proceedings of the Fifth Annual Conference of the British Association for Biological Anthropology and Osteoarchaeology. (BAR international series; Vol. 1383). Oxford, UK: Archaeopress. Zakrzewski, S. (2018). Matryoshki, masks and identities: bioarchaeology and the body. In B. Jakob, & M. Holst (Eds. ), Trends in Biological Anthropology (Vol. 2). Oxbow Books Limited. Zakrzewski, S., Wright, S. S. E., & Inskip, S. (2017). Anglo-Saxon concepts of dis/ability: Placing disease at Great Chesterford in its wider context. In J. Byrnes, & J. Muller (Eds. ), Bioarchaeology of Impairment and Disability: Theoretical, Ethnohistorical, and Methodological perspectives (1 ed., pp. 269-289). (Bioarchaeology and Social Theory). Springer International Publishing. Zakrzewski, S. (2017). Skeletal morphology and social structure in Ancient Egypt: hierarchy, gender, body shape, and limb proportion (4000-1900 BC). In H. D. Klaus, A. R. Harvey, & M. N. Cohen (Eds. ), Bones of Complexity: Bioarchaeological Case Studies of Social Organization and Skeletal Biology (pp. 111-140). (Bioarchaeological Interpretations of the Human Past: Local, Regional, and Global Perspectives). Gainesville: University Press of Florida. Zakrzewski, S. R. (2015). “Behind every mask there is a face, and behind that a story”. Egyptian bioarchaeology and ancient identities. In S. Ikram, J. Kaiser, & R. Walker (Eds. ), Egyptian Bioarchaeology: Humans, Animals, and the Environment. (pp. 157-167). Sidestone Press. Zakrzewski, S. R. (2015). Life expectancy. In UCLA Encyclopedia of Egyptology (pp. 1-14). (UCLA Encyclopedia of Egyptology). California, US: UCLA. Zakrzewski, S. R. (2015). Religious disruption and the Islamic conquest of Andalucia. In B. J. Baker, & T. Tsuda (Eds. ), Migrations & Disruptions: Toward a Unifying Theory of Ancient and Contemporary Migrations (pp. 52-72). Gainesville, US: University Press of Florida. Zakrzewski, S. R. (2014). Palaeopathology, disability and bodily impairments. In R. Metcalfe, J. Cockitt, & R. David (Eds. ), Palaeopathology in Egypt and Nubia: A Century in Review (pp. 57-68). (Archaeopress Egyptology; No. 6). Oxford, GB: Archaeopress. Zakrzewski, S. R. (2012). Dental morphology, dental health and its social implications. In Prehistory of Northeastern Africa: New Ideas and Discoveries (pp. 125-140). Poznan, Poland: Poznan Archaeological Museum. Zakrzewski, S. R. (2011). Population migration, variation and identity: an Islamic population in Iberia. In S. C. Agarwal, & B. A. Glencross (Eds. ), Social Bioarchaeology (pp. 183-211). (Blackwell Studies in Global Archaeology). Chichester, GB: Wiley-Blackwell. Zakrzewski, S. R. (2006). Human skeletal diversity in the Egyptian Nile valley. In K. Kroeper, M. Chlodnicki, & M. Kobusiewicz (Eds. ), Archaeology of the Earliest Northeastern Africa: In Memory of Lech Krzyzaniak (pp. 893-907). Poznan, PL: Poznan Archaeological Museum. Brothwell, D., & Zakrzewski, S. R. (2004). Metric and non-metric studies of archaeological human bone. In M. Brickley, & J. I. McKinley (Eds. ), Guidelines to the Standards for Recording Human Remains (pp. 27-33). (IFA Paper; No. 7). Southampton, GB: Institute of Field Archaeologists / British Association for Biological Anthropology and Osteoarchaeology. Woods, C., Dickinson, A., & Zakrzewski, S. (2016). A study of three human dental populations using statistical shape modelling. 22nd Congress of the European Society of Biomechanics (ESB 2016), France. Mays, S., Zakrzewski, S. R., Inskip, S. A., Wright, S., & Sofaer, J. R. (2015). Anglo-Saxon concepts of dis/ability: placing disease at Great Chesterford in its wider context. Poster session presented at 84th Annual Meeting of the American Association of Physical Anthropologists (AAPA 2015), United States. Zakrzewski, S. R., & Powell, J. (2011). Cranial variability and population diversity at Hierakonpolis. In R. F. Friedman, & P. N. Fiske (Eds. ), Egypt at its Origins (pp. 333-346). (Orientalia Lovaniensia Analecta; No. 205). Peeters. Cashmore, L., & Zakrzewski, S. R. (2009). The expression of asymmetry in hand bones from the medieval cemetery at Écija, Spain. In M. E. Lewis, & M. Clegg (Eds. ), Proceedings of the Ninth Annual Conference of the British Association for Biological Anthropology and Osteoarchaeology (pp. 79-92). (British Archaeological Reports International Series; No. 1918). Oxford, GB: Archaeopress. Zakrzewski, S. R. (2008). Assessing the potential for dietary reconstruction from skeletal and isotopic data. In B. Midant-Reynes, Y. Tristant, J. Rowland, & S. Hendrickx (Eds. ), Egypt at its Origins 2 (pp. 369-382). (Orientalia Lovaniensia Analecta; No. 172). Leuven, BE: Peeters. Zakrzewski, S. R. (2007). Gender relations and social organisation in the predynastic and early dynastic periods. In J-CL. Goyon, & C. Cardin (Eds. ), Proceedings of the 9th International Congress of Egyptologists (pp. 2005-2019). (Orientalia Lovaniensia Analecta; No. 150). Leuven, BE: Peeters. Zakrzewski, S. R. (2007). Teeth and diet: what more is there? Teeth as markers for population history. In K. A. Robson-Brown, & A. Roberts (Eds. ), Proceedings of the 6th Annual Meeting of the British Association of Biological Anthropology and Osteoarchaeology (pp. 26-36). (Archaeological Reports International Series; No. 1623). Archaeopress. Morris, E., & Zakrzewski, S. R. (2007). Unusual neck pathology in a Nevisian prehistoric individual. In S. Zakrzewski, & W. White (Eds. ), Proceedings of the Seventh Annual Conference of the British Association for Biological Anthropology and Osteoarchaeology (pp. 43-48). (British Archaeological Reports International Series; No. 1712). London, GB: Archaeopress. Bernal, J., Zakrzewski, S., & Jones, A. (2005). Measuring variation in the Neolithic human bones from the Orkney Islands. In S. Zakrzewski, & M. Clegg (Eds. ), Proceedings of the Fifth Annual Conference of the British Association for Biological Anthropology and Osteoarchaeology (pp. 105-112). (BAR International Series; Vol. 1383, No. 1383). Oxford, UK: Archaeopress. I welcome the opportunity to supervise postgraduate student (PhD) research in the following broad bioarchaeological areas: human health and disease, identity and the lifecourse, ethnicity and the social construct of ‘race', diversity and activity, religion and religious practice.